Over 3000 Internally Displaced Persons taking shelter in the School of Geosciences, Anguldi, Jos have asked that the Plateau State Government speeds the process of their home return ahead of the 2019 planting season. 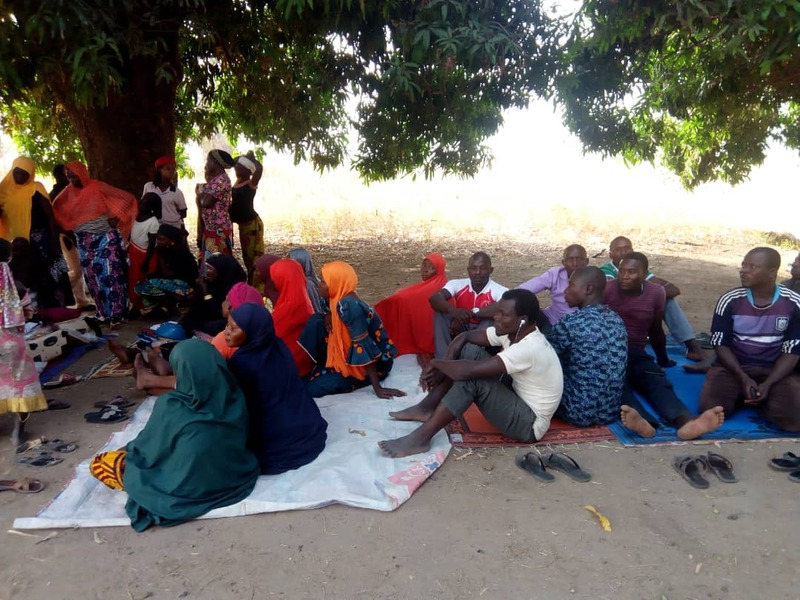 Mr. Francis Chong, the Welfare Officer of the camp last week told MKB after a meeting with the State Governor, Simon Lalong that the IDPs could no longer feed as humanitarian support had seized. With the planting season fast approaching therefore, the IDPs wish to return home to their farming life which was their main source of income until their displacements, Mr. Chong said. At the meeting with the State Governor, officials of the camp led by Mr. Chong told the Governor that they would stage a sit-down protest at the State Government House if the processes of their return were not fast attacked. "I said it jokingly and we all laughed at it with the Governor but we are serious about this. "We want to go back, we are tired of this life in the camp. "Every arrangement had been made as announced the Governor several times and we had donated good structures for the Mobile Police promised us to come and stay temporarily but nothing yet," Mr. Chong said in a telephone interview. The Plateau State Information Commissioner, Yakubu Datti however says the IDP officials were at the Government House to appreciate the Governor for his support and efforts at returning them home. Mr. Datti in a telephone interview said Government had completed plans for their return but was executing them in phases. The first batch of the IDPs returned home was transported in December 2018. Some of the returned IDPs were said to have returned back to camps due to lack of food and security threats. The Information Commissioner however says Government remains 'deeply' concerned about their plights above anything else.